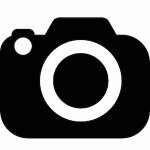 Photo booth Hire Coventry|Photo booth Rental - Snaptcha! Create memorable photo moments at your next event with our Coventry photo booth hire service. Snaptcha Photobooth is a professional photo booth hire and photo booth rental company providing photo booth hire and rental services to clients in Coventry and surrounding cities in West Midlands and Warwickshire. You are spoilt for choice when it comes to our extensive range of industry leading, feature rich and trending photo booths which include our beautifully designed enclosed Oval photo booth, Open Style Selfie Photopod booth, custom designed Magic Mirror photo booth, Inflatable/igloo photo booth, video photo booth, slow-mo photo booth, greenscreen photo booth, boomerang photo booth, Gif photo booth, promotional/branded photo booth and product launch photo booth. ♦ Tailored Photo booth Packages in Coventry That Are Also Budget Friendly: If you have a theme for your upcoming Coventry event and want a tailored photo booth hire service which sets your Corporate event, Private party or Wedding event apart from the rest, then Snaptcha Photobooth is your photo booth hire company of choice. 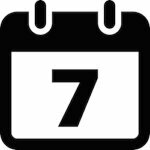 Whatever your event, you can be rest assured that we have covered them all, from; Trade Shows, Conferences, Award Ceremonies, Wedding party, Birthday party, Bar Mitzvah/Bat Mitzvah, Christenings, Product Launch,School Proms, Corporate Events, Engagement parties, Bridal showers, Anniversaries, Quinceañera, Sweet 16, School Dances, Auctions, Fundraisers, Graduations, Baby Showers, Themed Parties, Galas, Trade Shows, VIP Events, Networking Events, Golf Events, Concerts, Board Meetings, Seminars, Non-Profit events, etc. ♦ A Seemless Photo booth Booking Process:The Snaptcha Photobooth team ensures that everything runs smoothly from the moment we receive your enquiry for a photo booth hire in Coventry – to payments being made – completion of booking forms and finally enjoying the use of our photo booth at your special event! ♦ The Latest Trending Photo booth Features In Coventry: All our photo booths have the latest software and features in the photo booth world. Our hi-res producing dslr camera, touchscreen, social media uploads, photo booth wind machine, greenscreen software,instant colour and black and white photo booth printers, photo booth video, photo booth Gif, Boomerang, fun dress up props, photo guestbooks, photo booth templates are a few of our standout photo booth features which turns all our 1st time clients into repeat customers. What’s more, your guests will have our professional booth attendant on hand to help with ‘all things photo booth’ at your event. 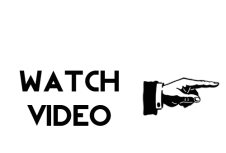 ♦ Our Client Portfolio: Our photo booth service in Coventry extends to both private and corporate clients. You are sure to spot one of our photo booths in Coventry at the University of Coventry for a Students Union Freshers event and another booth spot at the Ricoh Arena for an exhibition event. ♦ A Photo booth For All Occasions: If we seem like a perfect match for you then check out our individual photo booth hire service pages below for detailed information on Wedding photo booth hire , Party photo booth hire, Corporate photo booth hire, Prom photo booth hire, Promotional photo booth hire, Christmas photo booth hire, Awards ceremony photo booth hire and Charity fundraising photo booth hire. Here’s what makes our Coventry photo booths awesome! 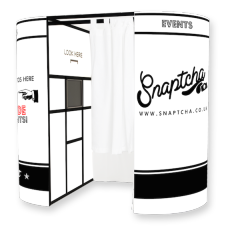 Click here to find out more about Snaptcha Photobooths and what we do. Our photo booth’s are jam packed full of amazing features we know you’ll love! 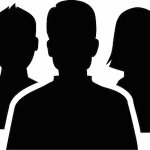 Find out more about what’s included in our photo booth hire here. We booked a booth for our wedding and Snaptcha kept our guests entertained throughout the night! The wedding photo booth package worked well for us as it included a videoke, variety props, guest book and unlimited photo prints. The video messages were hilarious, thanks Snaptcha! Snaptcha provided a customised party photo booth for our freshers week celebrations. We were able to brand our photo strip prints with all the vital Student Union contact details for the new students on campus. The booth worked well for what we intended it for. Your staff were efficient, friendly and helpful! Thanks for the Branded Magic Mirror! The customised bathroom props and green screen options sparked a lot of potential client engagement at the 3 day promotional event at the Ricoh Arena.